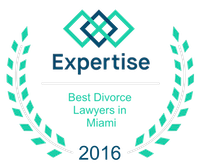 Mark R. Wegmann | Miami Family Law Lawyers Vilar Law, P.A. Mark R. Wegmann joined Vilar Law, P.A. in April 2015 and handles all aspects of family law, including divorce, paternity, child support and post-judgment matters. While attending law school at the Florida International University College of Law, Mr. Wegmann interned for two summers with the Honorable Judge Gill Freeman while she presided over the Complex Business Litigation Division. It is there that he developed an appreciation for the nuances of law and started to refine his legal research and writing skills. However, it was not until participating in a Family Law Clinic during his last semester that Mr. Wegmann discovered a passion for family law that continues to this day. 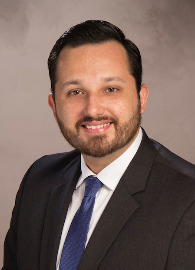 After graduating from law school in May of 2012, Mr. Wegmann took a position as a case manager with the Eleventh Judicial Circuit Family Case Management Unit. Working closely with many of the family judges and their staff, Mr. Wegmann further developed his knowledge of family law from a judicial perspective, and gained insight into the effect of the litigation process on the family unit. Mr. Wegmann’s ongoing focus is achieving the best possible results for clients, always taking into account the well-being and best interests of the children. When not practicing law, Mr. Wegmann enjoys spending time with his wife Katrina and their dog Winston. He is also an experienced ballroom dancer, having spent his youth learning to dance at his father’s studio.